You have an old gas water heater and it is time to replace it with a new one but, you don’t know whether to replace for another gas or an electric one, do you? What to do before you make such a decision? Why compare one vs. another? In today’s world, people are frequently talking about saving energy, especially at home. And when referring to home energy savings, people will remember the basics such as turning the lights off when not in use and buying appliances that promote the highest energy efficiency level. Although these two steps are good, it usually is as far as we all go in attempting to save energy. One of the most important energy saving equipment found inside every home is the water heater. The boiler is overlooked by most homeowners almost 90% of the time. In fact, not only gas water heater but electric ones are responsible for about 25% of home energy consumption, so, why not think about saving energy with the water heater? This article will concentrate about the pros and cons of a gas water heater Vs an electric one, what you should know about each one of them before making your decision. Most gas water heaters that are available in today’s market runs out of natural gas, however, if you live in the country, it is most likely that your water heater is an electric or a propane gas one. Gas water heater is considered one of the most energy-efficient available in the market today, especially, if compared with an electric one. 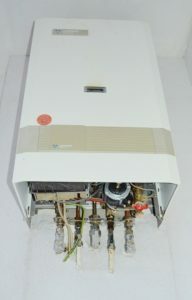 Gas heaters are more efficient to heat the water due to the burner power in the bottom of the tank. Most gas water heaters run at 80% to 90% efficiency, which means, no matter what is done with the installation and ventilation, the electric heater will lose about 10% to 20% of energy. Gas heaters are much better for a large family, due to their quick recovery rate. The average fuel cost for gas water heater per therm is $0.50 or $136 per year, if it is $0.60 per therm, that the yearly cost would be $163, if the price per therm $0.70, the yearly cost then would be $190. 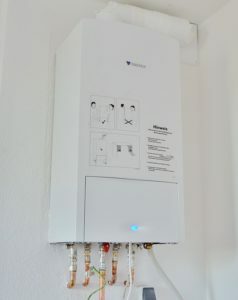 Electric water heaters run at 220v which means that if the home is not upgraded with the proper electric wire and power box, this means that the homeowner will have to make an investment to upgrade the home electricity, which might cost several hundreds of dollars or, even over a thousand. Electric water heaters need electric wires rated to run the water heater. It also needs to be properly venting the carbon monoxide from inside the home to the outside. Electric heaters run usually at 100% efficiency, but, the tank doesn’t keep hot water for too long and, the recovery rate is usually slower than the gas heaters. Especially, there’re more than 4 people in the house. If a family of 5 or more people, the electric water heater is not a good option. The average cost of electricity of an electric water heater is $0.08 per kilowatt-hour, so the yearly cost would be $390, if the price per kilowatt-hour is $0.10 then, the yearly cost will be $488 but, if the price per kilowatt- hour is $0.12, the yearly cost will be $585. 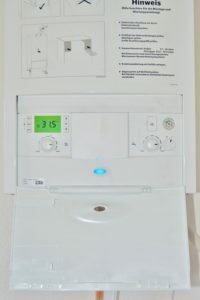 When comparing a gas to an electric water heater, it is evident that a natural gas water heater will be the best option to have in the home; however, such a choice will only make sense, if the home already has the proper electrical or gas connections ready for it. So, the best way to go is to first check the home to see what kind of installation that is already there, there, consult the Dallas water heater professionals, a certified electrician and a certified plumber in gas to provide you with a bid for either of the necessary upgrade, then, see what makes sense to you. Also, visualize your saving not only in the present time but, at as well as, on the long run and, with the one that will save you money the most and will provide the most benefit. Disclaims: Remember, this is an informational page only, you are responsible for your decisions, and this site is in no way responsible for your decision.